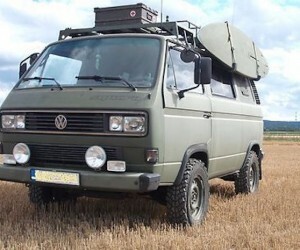 This 1987 high top Vanagon was for sale recently in Colorado, and it has something quite unique. Red cabinets! 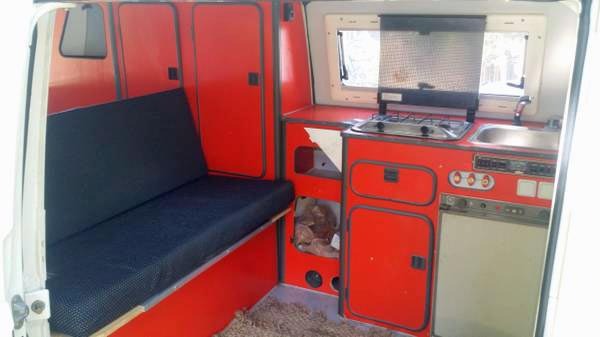 Have you ever seen a Vanagon with red cabinets? I haven’t. 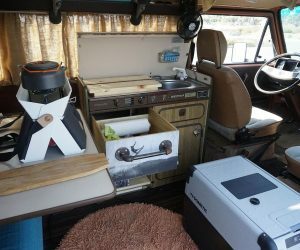 This custom high top is nothing special to look at on the outside, but the inside is quite unique.